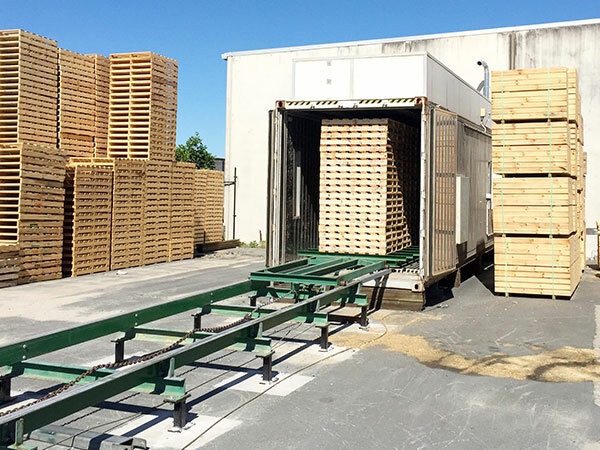 Non heat treated pallets and crates for export can pose a significant health and safety risk. Don’t risk the possibility of chemically treated pallets and crates! Express Pallets & Crates guarantee our export pallets and crates are heat treated to international standards. Our heat treatment facility is on site, providing certified export compliance where required. All our export pallets and crates are heat treated on site at our own heat treatment facility. Pallets and crates are then marked with our unique ISPM15 stamp, to ensure customer peace of mind and meet certified export compliance. Heat Treatment certificates are supplied as required.